January | 2016 | BES Drongos | Follow that monkey! Mark your calendars for the new set of BES Drongos trails are here! 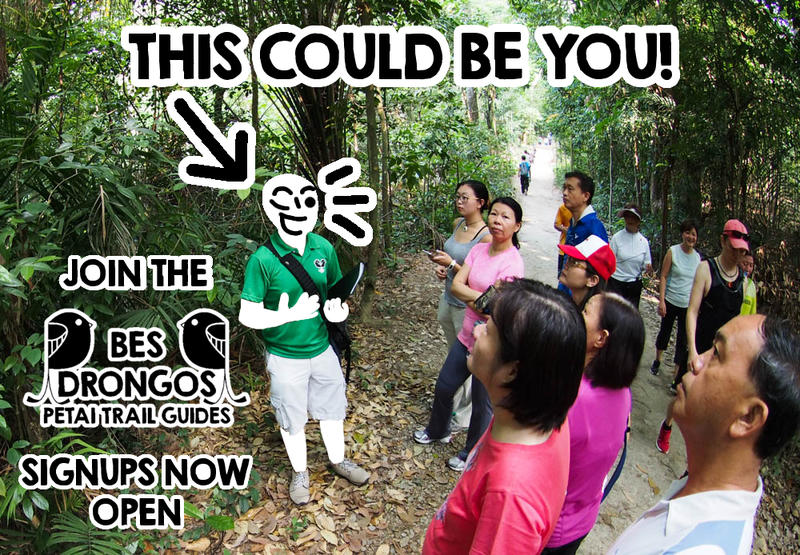 To kickstart 2016, come and join us on a remarkable adventure through the stunning forests in the Central Catchment Nature Reserve along the well-trodden Petai Trail! Did you know that a walk in nature can relieve stress and improve physical well being? Besides, you get to know a lot more about the critters worth protecting in our reserves, while learning about the ecosystem they are living in and dependent on. Wait no longer! Share our walks with a few fun-loving friends and sign up on our EventBrite page without further ado. Visit our Essential Information page for more details on the meeting location and duration of our walks, as well as other safety tips generally useful in any nature walks! Stay tuned for our recent developments in forming a new committee and training new volunteer guides! 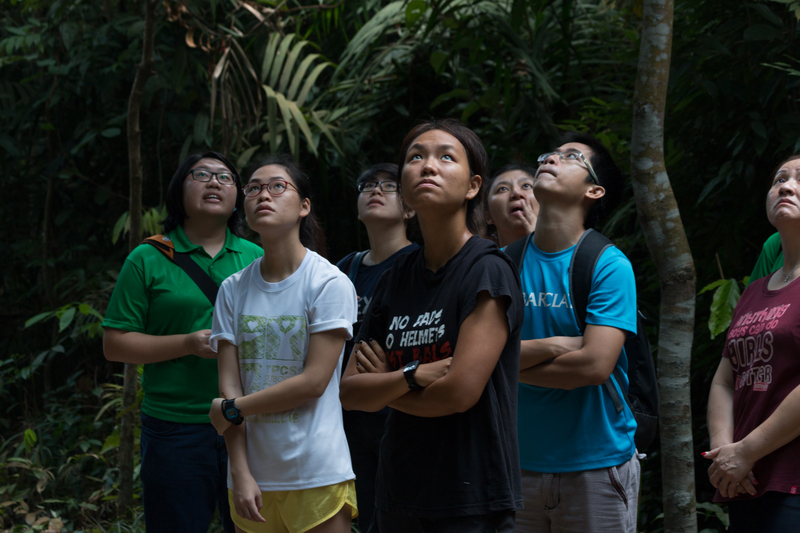 We are a fun-loving group of volunteer guides keen in spreading the love and passion for nature. 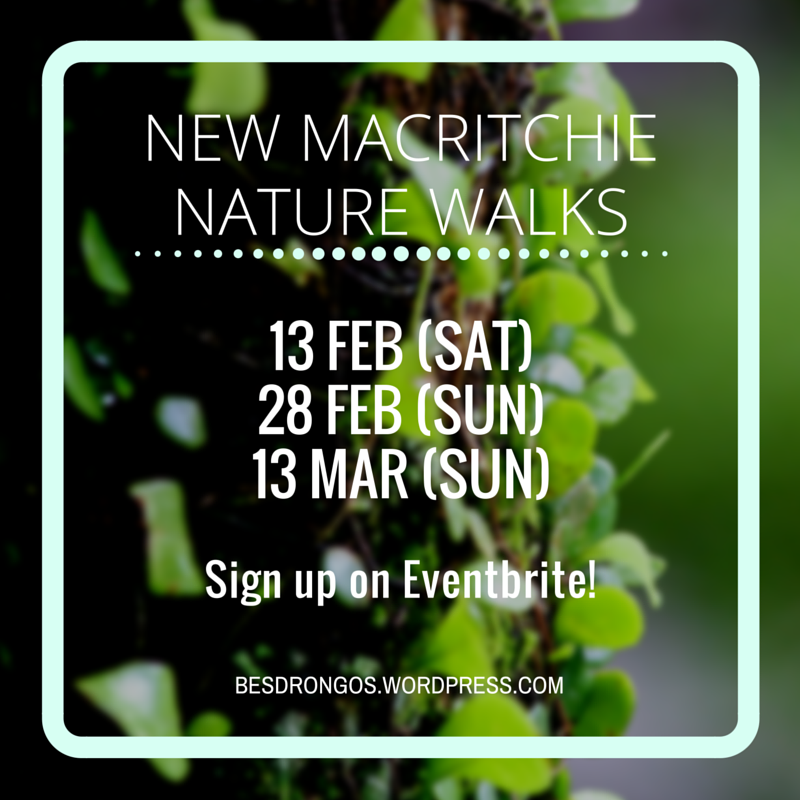 We bring members of the public on guided trails in the Central Catchment Nature Reserve to encourage more appreciation of the ecosystems and biodiversity they host. Over the last six months, we have successfully groomed 7 drongolets on top of holding 7 public walks, and we are looking to have you in our flock! … then we want YOU to join the Drongos! If you want to know more, you can read our past posts and email us (besdrongos@gmail.com) if you have questions burning to be answered. Can’t wait to join? Sign up HERE by the 17th of January!